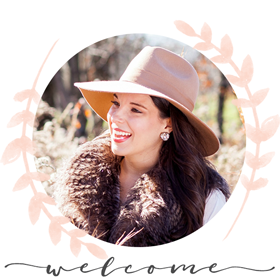 Nicole from Probably Polka Dots, a lifestyle blog based in Atlanta, GA, invited me to participate in A Tour Through Blogland. I actually learned about Nicole's blog a while ago from Sarah of Social Sara. It was so long ago that I can barely remember the context. Anyway, I've always admired Nicole's style. She has a knack for curating all things pretty! Nicole does a great job at highlighting small businesses. In fact, I have discovered many lovely Etsy shops just by reading her blog. I'm very excited to be working on a brand new Simply Sarah Style initiative that will launch in January. I'm not ready to reveal the full details just yet, but can say it has to do with decorating and home styling, a pastime I thoroughly enjoy, and something people often ask me about. Q. How does my work differ from others in it's genre? One aspect of Simply Sarah Style I really take pride in is the fact that the items I talk about, the parties I plan and the spaces I decorate all can be accomplished on a very reasonable budget, which means it is obtainable for a broad range of readers. I love creating a space or event that looks like it could be found in a magazine using items a person already owns or finding inexpensive ways to create WOW factor. This is the same with fashion. I love creating the high/low cocktail as Hilary from Dean Street Society would say. The challenge of putting together something inspiring that doesn't cost a million bucks, or even a hundred bucks, makes me very happy. I hope Simply Sarah Style readers enjoy the affordable (and obtainable) inspiration. Q. Why do I write/create what I do? Simply Sarah Style started a little over four years ago as an avenue for sharing inspiration and the projects I completed. This was before the days of Pinterest, so blog-reading was the best way to gather ideas. Since I loved reading others' blogs so much, I thought I would start one of my own. Through the years, I've gone through ups and downs. When I first started, I would write several posts a week because I had so much to share, but then my schedule filled up and I found it difficult to make time to blog so often, so I set a new standard for myself. I would blog once a week - every Wednesday - and that would be that. I felt good with that commitment. Sometimes, even making time to write once a week is hard with my schedule. When it gets difficult to fit in a post and I find myself wondering what to write, I wonder does anyone even read my blog. Then, I meet someone new who is a friend of a friend and she tells me she reads my blog, and just like that, I am re-engergized, and flattered. I'm happy that people feel inspired when they browse the pages of Simply Sarah Style. Heck, Simply Sarah Style, the blog, has led to great opportunities. Not only do I do parties, decorating, wardrobe styling and gift-purchasing for people, I also get to work with great brands, small and large. All the of those things make writing and creating worth it! I publish a post every Wednesday. Sometimes they are planned. Sometimes they are spontaneous. On Wednesday nights, you'll find me snuggled up on the couch with my laptop finishing my post and watching the latest episode of Nashville. Now, let me introduce you to three blogs I love. Andrea is one home design blogger I just adore. What's better is that she lives in town, so I have the honor of running into her occasionally. I first formally met Andrea when I did a feature on her for Fort Thomas Matters. It received such a great response that it was selected to run in Fort Thomas Living as well. Andrea is crazy talented when it comes to decorating. 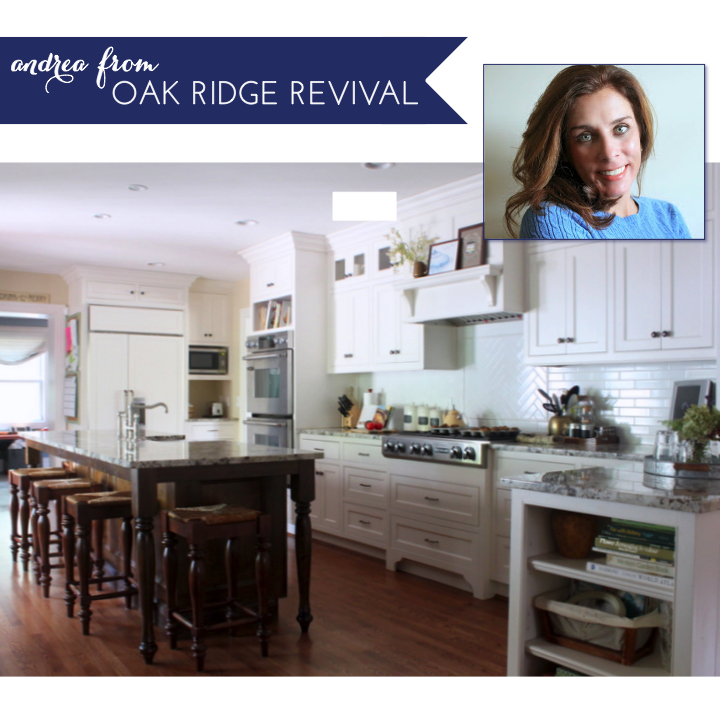 Her home is stunning, especially her kitchen! You can check out her home tour here. 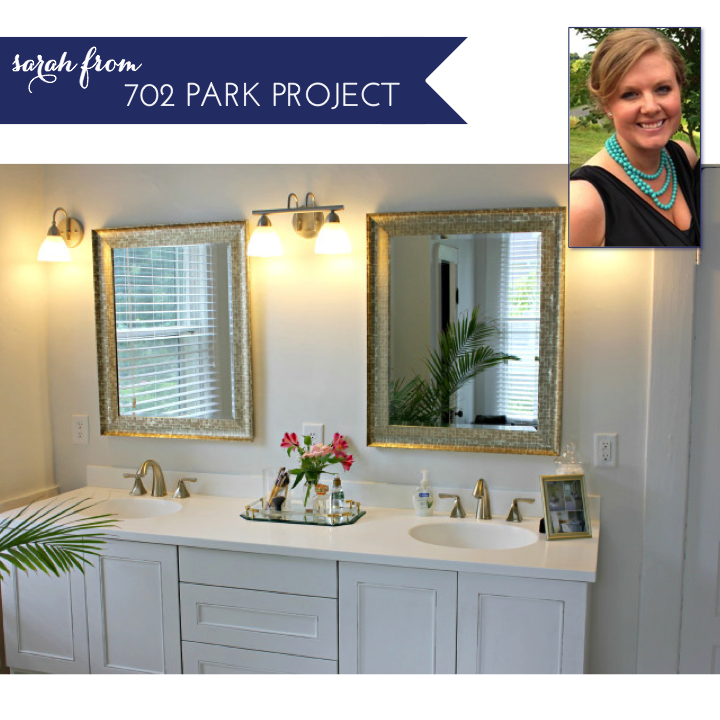 Sarah blogs about updating her historical home, which has quite the family history. I enjoy browsing her blog for inspiration. I was also inspired to make my own "30 before 30" bucket list after reading hers (although, I need to rename mine "30 for 30"). 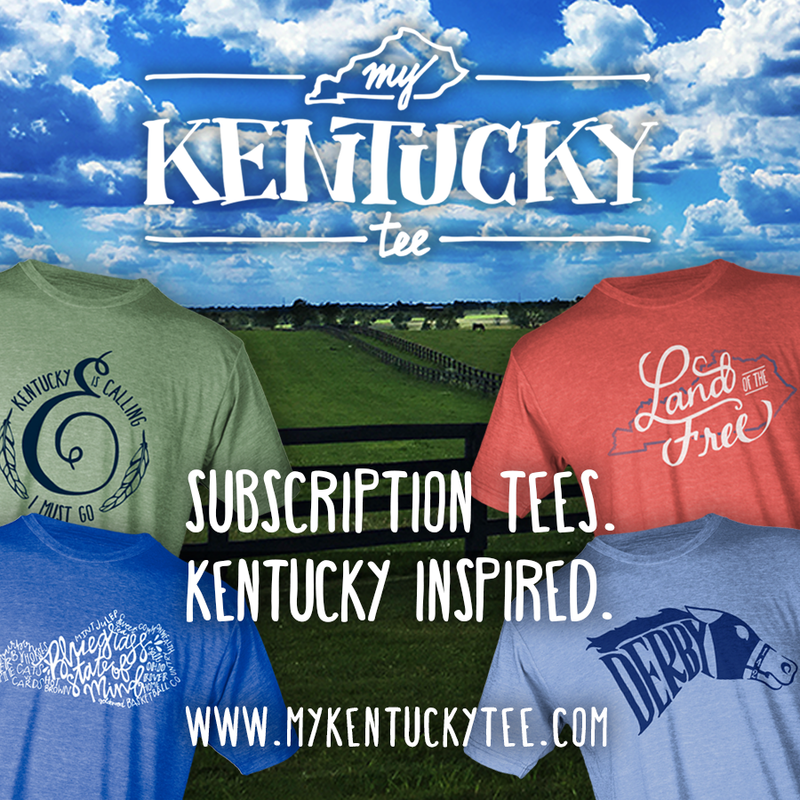 Head over to check out her latest home projects, plus she has some interesting gift guides. Sarah has already completed her blogger questions. You can find them here. PS-I automatically love other bloggers named Sarah! 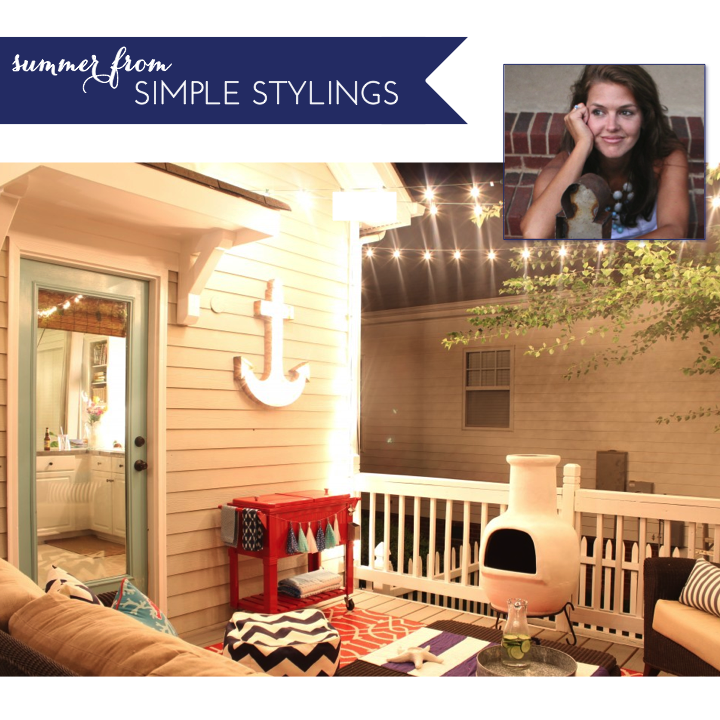 I first discovered Summer from Simple Stylings when I came across her back deck makeover. Everything about this space was perfect. It was so colorful, so inviting and ideal for entertaining. You'll find plenty of inspiration on her blog and Instagram account. Summer has already completed her blogger questions. You can find them here. Please head over and show these ladies a little love! Thanks for joining me for A Tour Through Blogland!